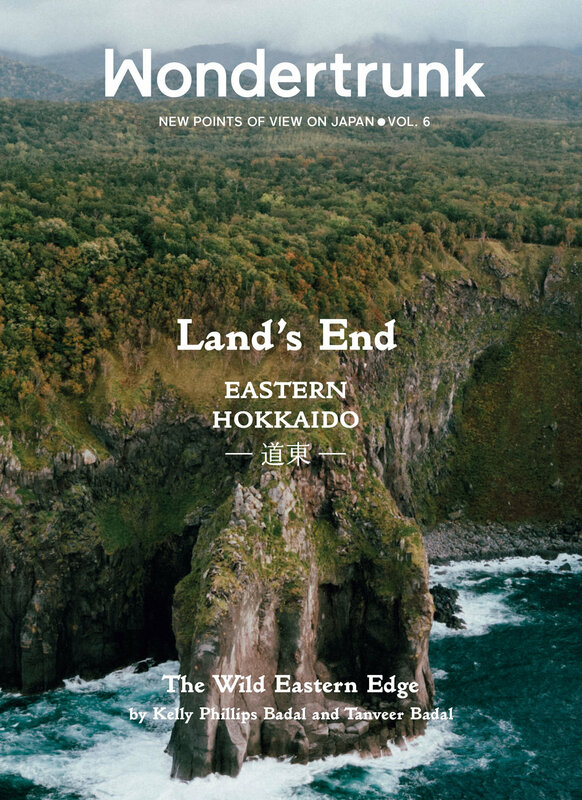 In the fall of 2018, editor and writer, Kelly Phillips Badal (also, my wife) and I received an assignment from Hokkaido Tourism and Tokyo-based Wondertrunk Agency to explore one the of more remote corners of the world — Shiretoko Peninsula in Japan’s Eastern Hokkaido. 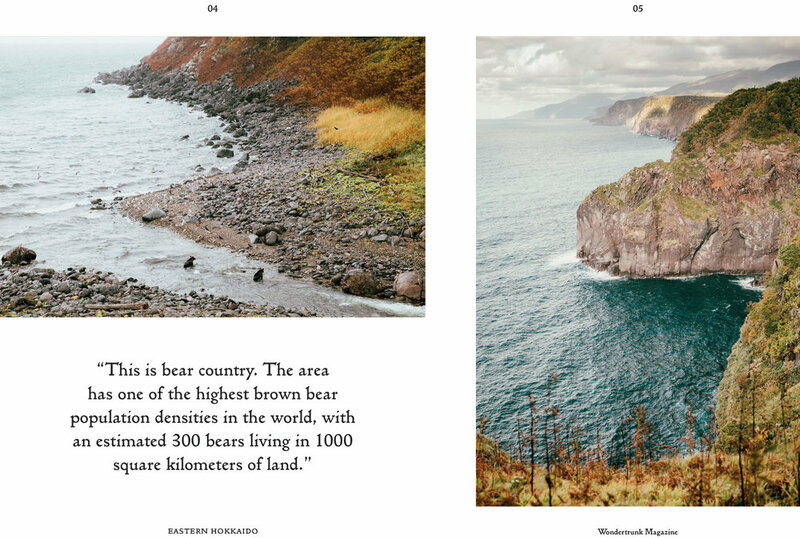 The word “shiretoko” translates to “End of Land.” Our objective was to create a magazine from our explorations. Kelly wrote the world and I supplied the photographs. The magazine, the 6th in the series, was designed by Wondertrunk in Tokyo and printed by Faenza Group in Italy. 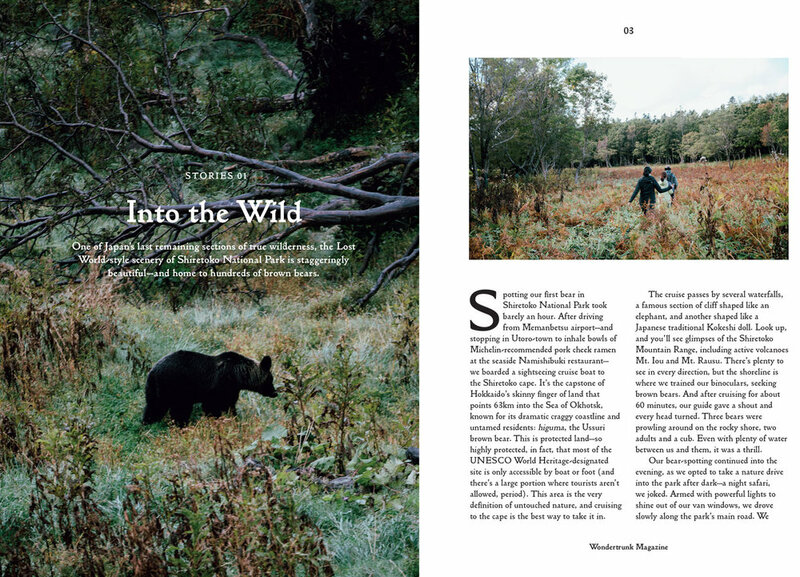 After the magazine was published in Spring 2019, Kelly and I were invited as guest speakers to debut the magazine and share our experiences at the 2019 Los Angeles Travel + Adventure Show. The magazine is currently being distributed at tourism board branches throughout Japan and at travel trade shows all over the world.